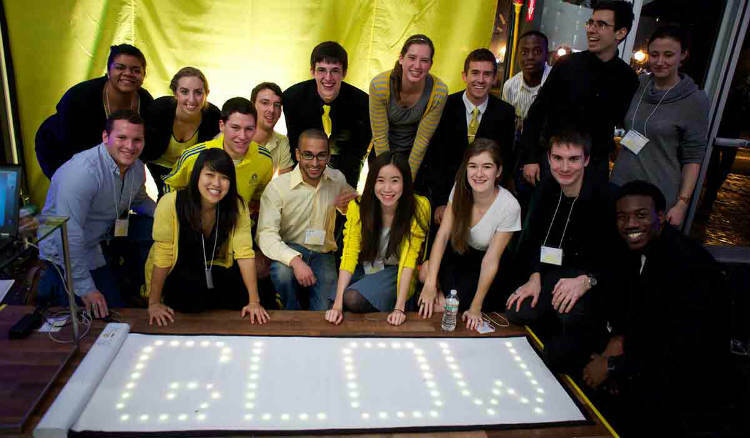 A group of students in an MIT class called “Product Engineering Processes” recently came up with Glow, an interactive yoga mat that uses LED lights to help people either learn yoga or improve their performance. The class, which Boston Magazine describes as the “capstone project” for MIT seniors majoring in mechanical engineering, asks students to work in teams to design and build a prototype related to a different theme. This year’s theme was “Be Well,” which led one team to think of yoga. 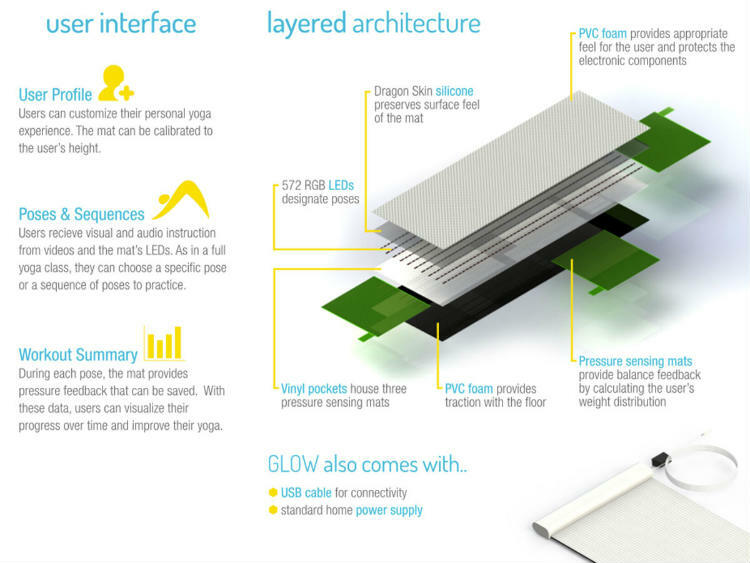 The team’s invention contains LED lights housed in a layer of silicone in between the foam layers of the mat; they light up to show yogis where to place their hands and feet. There’s also a pressure sensor that monitors weight distribution. The Glow mat can be hooked up to a computer using a standard USB port, which allows lots of room for customization. Not only can yogis enter their proportions, they can also decide whether they want to learn individual poses or follow along in sequence. “[!users!] watch a video of a trained yoga instructor on their computer while LEDs in the mat light up to show them exactly where to put their hands and feet,” Julia Ellermeier, one of the team members who created Glow, tells Boston Magazine. That data can then be stored so yogis can track their progress. “What’s unique about Glow is that it gives the user the ability to have a personalized yoga experience without having to pay for expensive private yoga sessions,” Ellermeier says. Although it isn’t commercially available yet, the team is in the process of filing a patent for the Glow mat. If it ever hits stores, it’ll certainly shed a new light – literally! - on the ancient practice of yoga.